The Orsis CT data logger is used for collecting data on energy usage and capable of recording consumption (kWh), import/export direction, voltage, current, frequency, power factor and instantaneous power of the grid. Data is transmitted to the Orsis LDC via RF (radio frequency). A clip-on current transformer (CT) means that installation is very straightforward. 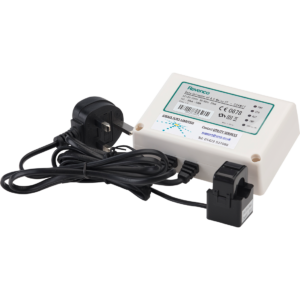 The logger is mains powered and has class 1 accuracy as it is able to use a local voltage reference. The information is displayed on Orsis Energize. The data can be retrieved and used by the consumer to understand their energy consumption levels and manage their fiscal and environmental costs.